We all know that & Other Stories sits at the higher end of the high street due to its slightly elevated prices, but in return, you get better quality fabrics and fits, as well as a more unique aesthetic. It's not as fast-paced in terms of production in comparison to other affordable stores, and you probably won't see hundreds of new items dropping every day, but this is more than welcome in our quest to shop more sustainably. Instead, you'll be more likely to find some very well-designed classics—trench coats, blazers, and perfect tees—mixed in with trend-led pieces such as printed midi dresses, boilersuits and a smattering of the latest must-have print. In addition to all that (and the fact that they have a great beauty department), the shoe selection is strong, with one of the coolest trainer edits you'll find around. It's easy to see why & Other Stories has become a trusted source for me and my wardrobe. 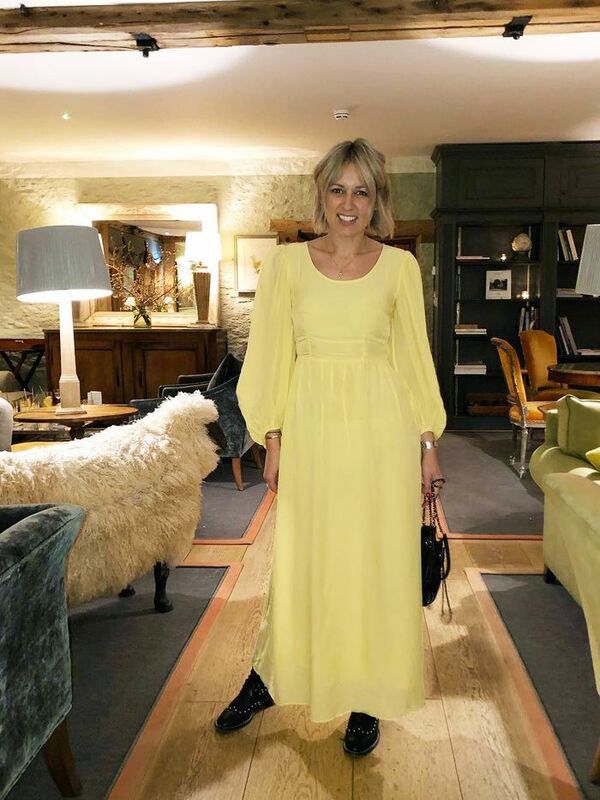 Em wearing a yellow maxi from & Other Stories. Keep scrolling to see how I shop from the Scandi store, and don't forget to check out my latest looks over on Instagram @emmarosestyle. By far the biggest trend of the year so far, everyone is loving the ease of the boilersuit. This & Other Stories has to be one of the best I've tried yet. Always my first stop when I need (read: want) some new sneakers. I love the selection of Nikes—it's lethal! You can always count on & Other Stories to deliver when it comes to great leopard-print pieces. From kaftan dresses to jackets, this season, there's every possible kind of animal print item available.